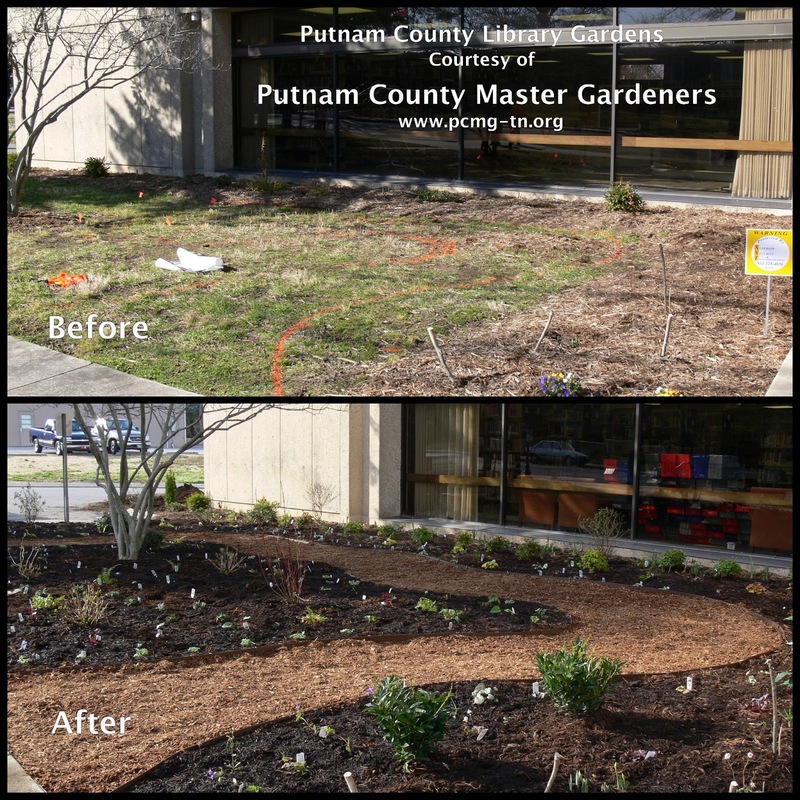 Putnam County Master Gardeners have recently completed the installation of brand new gardens at the Putnam County Library. The staff at the library called on the help of Master Gardeners to design and install plantings and hard-scape in a dreary, ignored corner of the library's front lawn. The grass was dying and bushes there were withering away. With the dry shade conditions and poor soil, Master Gardeners started with a soil test, and a good design. Soil was amended according to the recommendations of the soil test, and the design was implemented with a path and plants that will tolerate both partial shade and dry conditions. To celebrate the completion of the gardens, the library and Master Gardeners will be hosting a Garden Party Open House on Saturday, June 8th at 10:00 till noon. Refreshments will be served and it is open to the public. Come see the new gardens and hear about how it came to be. Learn more about the library's summer reading programs and how you can achieve such a garden in your own back yard. Talk to Master Gardeners and learn more about our programs.